With Aaron Rodgers sitting out the Packers’ last preseason game tomorrow against the Chiefs, Matt Flynn and Scott Tolzien have been alternating time with the first team offense. On days Flynn gets the reps, the blogosphere declares the Packers have selected him to fill the QB2 shoes. The same can be said on days Tolzien gets the nod. 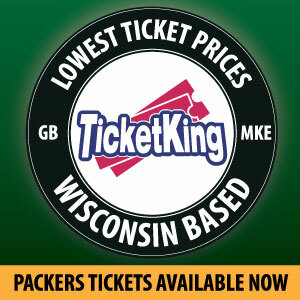 By this time last year, the Packer were already starting the never ending turnstile of revolving back-ups. Graham Harrell had already been shown the door, and in the first few days of last September Rodgers was the only QB on the roster while both BJ Coleman and Vince Young were cut loose and Seneca Wallace had yet to be signed. The same cannot be said this year. The Packers have been reluctant to pare down that list aside from asking fourth string Chase Retting to turn in his iPad. The organization itself has been nothing short of cryptic and has been reluctant to name a QB. There are arguments on both sides to name Flynn or Tolzien the understudy quarterback. For many years the Packers have held to a strict formula: the strongest candidate becomes the insurance policy if Rodgers should go down. The greener one is sent to the practice squad to grow and develop. But after failing at Back-up QB Roulette on more than one occasion last year (let’s face it, the Packers got caught with egg on their face assuming Rodgers was invincible and didn’t have a plan when he proved he was human like the rest of us), could this signal a change in that model and that the team is going to keep both on the active roster? Experience and comfort in the pocket versus strength and potential, it’s a good debate to have. 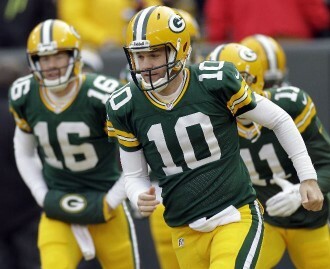 Flynn and Tolzien each have a specific skill set that will allow them to succeed if called up from the bench. Both have shined at different times in the preseason. And for different reasons. What a stark contrast to last season. Yes, there is a valid argument that the Packers would lose Tolzien to another team if they were to gamble on the waiver process to move him to the practice squad. There’s no doubt this would happen. The same cannot be said about Matt Flynn despite his $1 Million hit against this year’s salary cap. The Packers could easily waive him this weekend and there is a very high chance the other 31 teams would let him remain an unsigned free agent that would be available at a moment’s notice if the Packers burn through back-up QBs like they did last year. But if the Packers get to that level of desperation, they’d be resigning Matt Flynn, his dubious arm and a new coat of rust to the entire package. Look what happened last year. Yes, he kept the season afloat, but how many weeks did it take for him to get back to Packers form? There’s no doubt the Packers are investing a lot of time and energy to develop Scott Tolzien into a strong, viable and long-term back-up. He is the QB2 for the long haul. There’s no question about that. This year, that growth has been measured in leaps and bounds. No doubt he is more comfortable in the pocket. He isn’t leaping up like a startled jackrabbit like he was last year and throwing rocket balls to nowhere. Against the Raiders, Tolzien clearly showed that he is much more comfortable with an offseason and training camp under his belt that he is ready to succeed in a Clements offensive scheme. Last year demonstrated that a team can start into an ugly tailspin if quarterbacks start dropping like flies. No one predicted that the team would be forced to play half of a season without its greatest asset, but no one could foresee Seneca Wallace’s season ending injury or how ill-prepared Tolzien was last season. While the focus remains on a Plan B for if Rodgers were to get hit again, I think we would be remiss not to realize that having three quarterbacks also benefits Scott Tolzien in the long run. We all saw how unprepared Tolzien was last season when he took the field unexpectedly. He had not quiet mastered the offensive schemes in the few short weeks he was in Green Bay. Inaccuracy, and dare I say panic, dominated his play. We all know what happened in the end. The Packers were circling the drain against the Minnesota Vikings, and McCarthy decided to bench Tolzien and go with Flynn in the second half. Even rusty, Flynn still had enough of the Packers’ repertoire committed to memory and managed to run a version of a Clements Lite offense while Rodgers continued to heal. Matt Flynn may just be a stop-gap measure, a set of training wheels to help Scott Tolzien until he is ready to coast on his own. If Tolzien is the insurance policy for a Rodgers injury, then Flynn is the bridge until Tolzien is 100% ready. Perhaps it is because Scoots isn’t quite there yet is the reason the team has kept Flynn and Tolzien neck and neck in reps and game time. The understudy needs to have a mastery of the entire offense. He doesn’t have to replicate brilliance of Aaron Rodgers, but whoever that back-up is needs to have the same knowledge base to run the various facets of the game plan. If those plays reduced down to a bare bones scheme, it becomes highly predictable and easily neutralized. This was the case for most of November and December last year. Tolzien was still learning and Flynn was trying to recall plays he had not seen in two years. Defenses picked them apart on the ground and in the air. It may not be necessary to carry three quarterbacks for the entire season, but until Tolzien is ready, it is helpful to have a back-up that is already fluent in the language of the offense. There very well may be a time in the season when Scott Tolzien is 100% battle ready and Flynn’s services are no longer needed. At that time the Packers could comfortably cut Matt Flynn and keep his number in the proverbial back pocket to be called back at a moment’s notice. But until that day comes, it’s never a bad idea to have a back up to the back up. Scott Tolzien is the Green Bay Packers QB2, but it never hurts to have a QB2.5. Is Wilkerson Worth the Risk for the Packers? This entry was posted in Kelly Hodgson and tagged Flynn vs. Tolzien, Packers offense, Packers quarterbacks, Rodgers collar bone injury, Tolzien vs. Flynn. Bookmark the permalink.